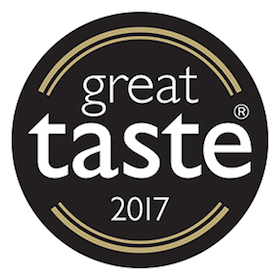 Delighted to be awarded Two Stars in the #GreatTasteAwards2017 for my new Honey and Hazelnut Soda. Thank you @guildoffinefood ! This simple loaf contains stone ground Wheat Flour from Ballyminane Mill Enniscorthy, Dublin Mountain Honey from Glencullen, @achill_island_seasalt, Hazelnuts, Rolled Oats and Fresh Buttermilk. This means that we have received an award for each and every one of our products. Gathering a total of 18 Great Taste Awards since first entering in 2012.